A Detached House within a small development within a sought after residential location | Entrance Hall | Cloakroom/W.C | Lounge | Separate Dining Room | Conservatory | Fitted Kitchen | 4 Bedrooms | Bathroom/W.C | Gas Central Heating | UPVC Double Glazing | Garage & Driveway Parking | Front & Rear Gardens | Backing Onto Village Green | no Chain | Semi-rural Position | Viewing Recommended. 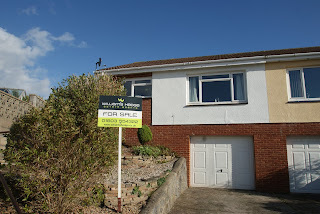 This detached four bedroomed house occupies a residential position in a small development surrounding a central green within the village of Churston close to local facilities including Churston Church and the historic Churston Court Hotel, tennis courts and nearby bus service connecting the town centres of Paignton and Brixham. The historic fishing port of Brixham offers an excellent range of facilities plus traditional harbour and modern marina whilst Paignton offers a wide and varied range of shopping facilities and amenities, railway and bus station plus beaches and harbour. Local schools including Galmpton Primary School and Churston Grammar School are within ¾ of a mile and there are also some excellent nearby coastal walks. Features of the accommodation which is offered with the benefit of no chain include reception hallway, cloakroom/W.C, good sized lounge, separate dining room with doors to a rear conservatory. There is a fitted kitchen whilst on the first floor there are four good bedrooms with bathroom/W.C. 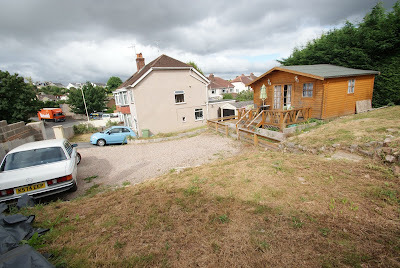 Outside there is a lawned front garden with shrubs and bushes plus further garden area opposite on the other side of the road and driveway parking for up to three vehicles leading to the detached garage. To the rear of the property there is a small enclosed garden with the benefit of access to the large open Village green behind. An internal inspection of this gas central heated and UPVC double glazed property is recommended to appreciate the accommodation on offer. A 1930s semi-detached house set in a generous sized plot with development potential (subject to planning). Accommodation is arranged over two floors comprising entrance porch, entrance hall, lounge, wet room/WC, dining room, kitchen, three bedrooms, shower room/WC, large front/side gardens, driveway parking for several vehicles and garage. I have received professional, proactive and successful service from our chosen Estate Agents, realistic about achievable price and timelines, yet truly kind, caring and thoughtful of my advancing years and anxiety about selling and move on. At Williams Hedge & Co your reputation as premier Estate Agents is well earned. A Unique Detached Chalet Bungalow set in the village of Galmpton | Benefiting from a large near level plot | Entrance Porch | Reception Hall | Lounge | Kitchen/Dining Room | 3 Double Bedrooms (principle bedroom on ground floor) | Bathroom | Separate W.C | Rear Lobby with storage cupboards | Long driveway with ample parking | Attached Garage | Large lawned gardens | Gas Central Heating | UPVC Double Glazing | Viewing Highly Recommended. This attractive and individual three double bedroomed detached chalet bungalow is situated in the sought after village of Galmpton which boasts a wide range of facilities including nearby local primary and grammar schools, village Inn and Barn Chapel, local village shops, easy access to Galmpton Creek and boatyard, coastal walks to Torbay and riverside walks to Agatha Christies former home at Maypool by the river Dart. There is also nearby golf course at Churston and excellent public transport connecting the busy town centres of both Paignton and Brixham. The property has been in the same family ownership since 1976 and has been well cared and maintained over this time and offers tremendous potential to extend (subject to consent) and improve and to create a unique individual home in an attractive location. The main features include a reception hallway with staircase leading to the first floor, lounge overlooking the front garden, fitted kitchen/dining room with views to the rear garden, large double bedroom on the ground floor plus bathroom and separate W.C, whilst on the first floor there are two double bedrooms with views to the front and across to the surrounding area and fields. The much larger than average plot features level lawned gardens to the front with central driveway giving ample parking and leading to the attached garage with courtesy door to the rear lobby. There is an enclosed rear garden which is again laid mostly to lawn. An internal inspection of this gas central heated and UPVC double glazed property is highly recommended to fully appreciate the potential of the accommodation on offer.